You haven’t heard this name before, right? You are even having difficulties pronouncing it? 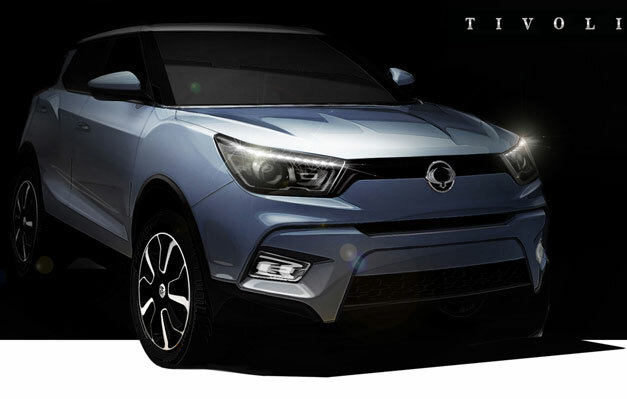 Well things are about to change as the Chinese carmaker SsangYong sets it sights on launching a small crossover named the Tivoli, next year. It will appear first in Korea in January 2015, with a release date in Europe and the UK likely at the end of 2015. The XIV-Air and XIV-Adventure concepts were first unveiled at the Paris Motor Show in October. They gave us an idea about what the car might look like and the production Tivoli wouldn’t be that far from the concept. The roof may not be the same as the Targa. The new crossover is aimed at the Nissan Juke and features far more modern exterior styling than we’ve seen before from SsangYong, and gives us a first look at the brand’s new global design language. The Tivoli’s interior will apparently offer “the modernity of a luxurious living space, with a stylish and contemporarylook”. Equipment is likely to include Bluetooth audio, a rear-view camera, dual-zone climate control and a good amount of modern safety kit. Engines at launch will be limited to two 1.6-litre engines, in either petrol or diesel form. They will both be offered with a choice of two or four-wheel drive, with a six-speed manual or automatic gearbox. Power outputs are yet to be confirmed, but the two-wheel-drive diesel concept will emit around 120g/km of CO2. Prices are unconfirmed, but we can expect the Tivoli at a starting price tag of around £13,000 when it reaches UK.